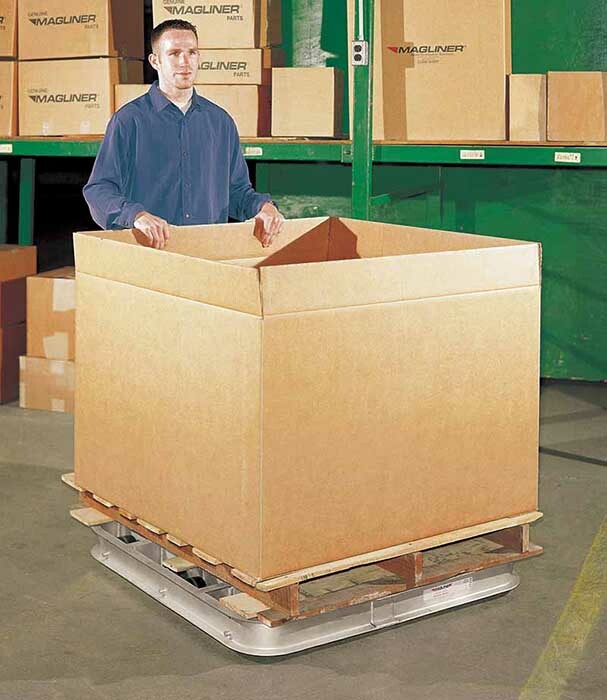 Superior turning helps you maneuver pallet loads through your facility, even around corners. Easily rotate pallets stored beneath rack to keep product accessible without stretching or reaching. Every pallet includes four E-track anchors so you can secure your load for transport with containment straps. Straps sold separately. You may add a towing hitch to your turning dolly when TPU rollers are selected. Increase your efficiency by towing up to five dollies at a time. PDT363606 36" W x 36" L 6 3,600 lbs. 2,000 lbs. PDT363608 36" W x 36" L 8 5,400 lbs. 3,000 lbs. PDT363610 36" W x 36" L 10 7,200 lbs. 4,000 lbs. PDT364206 36" W x 42" L 6 3,600 lbs. 2,000 lbs. PDT364208 36" W x 42" L 8 5,400 lbs. 3,000 lbs. PDT364210 36" W x 42" L 10 7,200 lbs. 4,000 lbs. PDT364806 36" W x 48" L 6 3,600 lbs. 2,000 lbs. PDT364808 36" W x 48" L 8 5,400 lbs. 3,000 lbs. PDT364810 36" W x 48" L 10 7,200 lbs. 4,000 lbs. PDT423606 42" W x 36" L 6 3,600 lbs. 2,000 lbs. 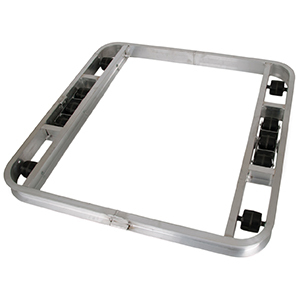 PDT423608 42" W x 36" L 8 5,400 lbs. 3,000 lbs. PDT423610 42" W x 36" L 10 7,200 lbs. 4,000 lbs. PDT424206 42" W x 42" L 6 3,600 lbs. 2,000 lbs. PDT424208 42" W x 42" L 8 5,400 lbs. 3,000 lbs. PDT424210 42" W x 42" L 10 7,200 lbs. 4,000 lbs. PDT424806 42" W x 48" L 6 3,600 lbs. 2,000 lbs. PDT424808 42" W x 48" L 8 5,400 lbs. 3,000 lbs. PDT424810 42" W x 48" L 10 7,200 lbs. 4,000 lbs. PDT484806 48" W x 48" L 6 3,600 lbs. 2,000 lbs. PDT484808 48" W x 48" L 8 5,400 lbs. 3,000 lbs. PDT484810 48" W x 48" L 10 7,200 lbs. 4,000 lbs.